Austrian Airlines is the national airline of Austria and is based at Vienna International Airport. Along with its regional subsidiary, Tyrolean Airways, and charter arm, Lauda Air, the carrier operates both domestic and international networks, particularly to Eastern Europe and the Middle East. On 1-Jul-2012, as part of its restructuring and cost reduction programme, Austrian transferred all of its mainline services to Tyrolean. At least 110 pilots refused the transfer, accepting instead very generous redundancy terms. 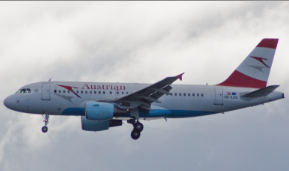 The carrier continues to operate under the Austrian Airlines AOC and under the Austrian brand. Austrian Airlines is a member of the Star Alliance. It's simple common sense: a collaboration will always work best where the partners involved complement each other. Take the three partners in the Austrian Airlines Group: Austrian, Lauda Air and Austrian arrows. The focus of Austrian is on scheduled traffic, Austrian arrows specialises in regional business, while Lauda Air completes the Group programme with its activities in the charter flight segment. Modern fleet: At just 6.2 years, the average age of our aircraft is substantially below the European mean. This makes our fleet one of the most modern in the world. Vienna's domestic airport, Vienna International Airport, uses superior infrastructure, while its highly efficient handling of incoming and outgoing aircraft ensures the fast, comfortable transfer of our passengers. The airport's average transfer time of just 25 minutes is unique in Europe, in fact. Should you ever have a longer time to wait until your departure, Vienna International Airport also offers generous and newly designed lounges to help you while away the time until your departure in the most pleasant and harmonious atmosphere. The top priority for the companies of the Austrian Airlines Group is to fulfil passenger requirements to the very highest standards. Which is why Austrian, Lauda Air and Austrian arrows are constantly working to improve their services further still. The three first-class brands of the Austrian Airlines Group are valued around the world for their high levels of quality and friendliness. This is as true of Business Class as it is of Economy Class.